Homepage » Cute » It’s Jury Summons for This German Shepherd! 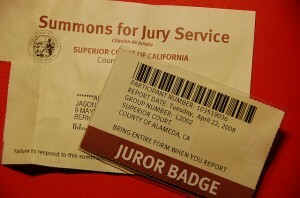 Have you ever had jury duty? What if you were summoned for jury duty but you could not attend? Not because the timing or work but simply because you have four feet and are covered in fur. “I knew there was a mistake right away,” the dog’s owner, Barrett Griner IV, told TODAY.com. Griner named the female dog (it’s pronounced “Ivy”) after his surname, which contains the number IV. Computer systems occasionally search from Griner IV by simply searching his full last name, which would subsequently generate the dog’s full name. Griner IV has yet to contact the county clerk office, but he will let them know soon that his dog will not be appearing for jury duty later this month.